You’ve probably heard your local cable provider (Multiple Service Operator or MSO, as they’re called) trumpet claims that cable has “blazing” fast Internet speeds compared to clunky ol’ telephone company DSL. True, legacy DSL (with speeds up to 3 Mbps, which isn’t considered broadband anymore) can’t compare with the latest Data Over Cable Service Interface Specification, DOCSIS 3.1, and its eye popping speeds of 10 Gbps downstream and 2 Gbps upstream. But it seems every communication standard is evolving toward higher speeds and DSL is no exception. So welcome to Very High Speed Digital Subscriber Line (VDSL) and now VDSL2 service. Will your local telephone company provide these services to you? Maybe; we’ll explain why below. Those who know about DSL are probably aware of both ADSL (Asymmetric DSL) and SDSL (Symmetric DSL). What’s the difference? Hearkening to the DOSCIS 3.1 reference above, 10 Gbps up and 2 Gbps down is an example of asymmetric usage of bandwidth. By taking the same bandwidth and configuring it to 6 Gig up and 6 Gig down, then the bandwidth usage would then be symmetric. Most home and even businesses download more content over the Internet then upload, so an asymmetric configuration is appropriate for most user applications. 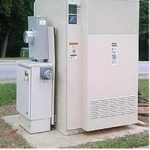 VDSL is a digital subscriber line technology delivering “triple play” data (voice/Internet/video) across the same copper wire pair (transmit and receive) POTS and DSL uses. Ideally, VDSL speeds can be as rapid as 55 Mbps down and 16 Mbps up — plenty fast enough to do all the simultaneous home and business applications DOCSIS 3.0/3.1 does, like UHD TV, Voice over Internet Protocol (VoIP) telephone service and multiple Internet streams. It uses frequency bandwidth between 12 MHz and 25 MHz. VDSL line loops run between 500 feet (150 meters) and 6600 feet (2 km or 1.25 mile), a considerably shorter distance than DSL which can extend to 10 km (6 miles) without the use of an ADSL loop extender. Today’s VDSL architecture is based on a transmission technology known as discrete multitone modulation (DMT). Older DSL modulation techniques included carrierless amplitude phase (CAP) and a newer variant known as quadrature amplitude modulation (QAM). For the past several years DMT and QAM, which are incompatible with each other, vied for supremacy in VDSL field deployment. Apparently DMT has emerged as the “go-to” choice by equipment manufacturers for technical reasons unclear to tech laity like your intrepid author. VDSL2 is even faster, using up to 35.328 MHz. The two standards vary by upstream and downstream rates; note the older standard is symmetrical (100 Mbps both up and down) while the newer standard is asymmetrical (300 Mbps up, 100 Mbps down) This overdrive speed is severely limited by distance, however. Once the line loop exceeds 300 meters, data transfer speeds degrade. The deployment of both VDSL and VDSL2 infers that equipment at the customer’s premises connects with a telco outside node, which in turn connects to equipment at the telco via wireless or fiber optics (which would be an example of a “fiber in the loop” or fiber to the x aka FTTX network). 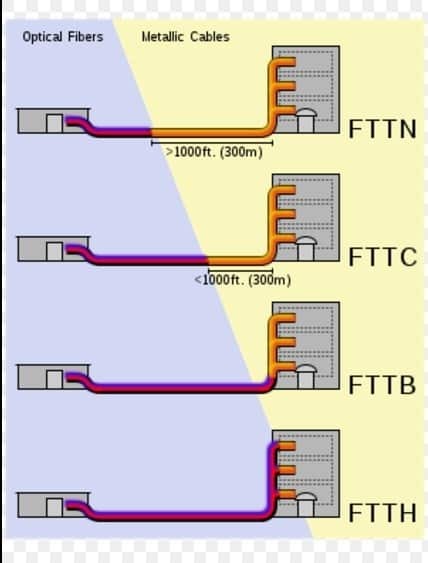 Below is a simplified schematic illustrating FTTX architectures with various fiber/copper combinations. The building on left is a telco central office; the building on right receives VDSL/VDSL2 service. Dotted rectangles are separate living/office spaces within building. The problem with VDSL, as with other copper wire-based technologies, is distance. 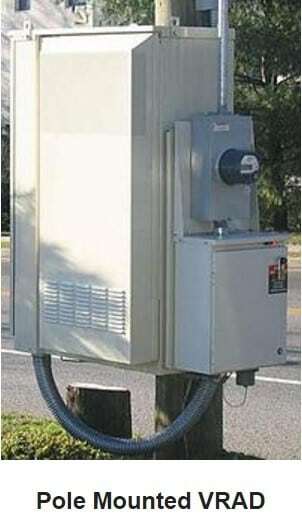 As distances from the telco central office (or repeater equipment such as amplifiers or regenerators) increase, data transfer speeds slow. Also, decibel loss increases with distance until finally the signal at the customer’s premises can’t synchronize with the head. Attenuation, or loop loss, is the reduction of signal strength. According to speedguide.net, one can count on a loss of 13.81 dB per km. Decibel loss can vary depending upon wire gauge, material and signal frequency. As shown by the schematic above, a paramount consideration in VDSL deployment is fiber length compared to the remaining copper length to the subscriber’s premises. The cost of fiber installation, reflected by the relative lack of fiber penetration to homes and businesses in the U.S., increases as fiber comes closer to the end user and costs are shared by an ever-fewer number of subscribers. This economic reality is instructive when looking at a typical AT&T U-verse VDSL deployment, illustrated in the section below. Sure, everyone wants FTTH but unless you live in an upscale community that’s recently been developed, your chances of getting FTTH are nil. 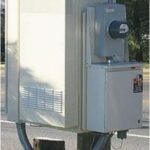 If you’re able to receive U-verse (and only a few cities in select states do, e.g., Cali/Nevada, Texas east to North Carolina and the Midwest north to Wisconsin and Michigan), what you’ll likely receive is FTTN with copper-based VDSL going the “last mile” from a video ready access device (VRAD) to your home. As mentioned earlier, what determines service quality and data connection speed is the span from the VRAD to the customer’s premises. AT&T assigns gateway profiles for the necessary bandwidth needed to provide either one, two or three HD video streams and Internet speed tiers ranging from 3 Mbps to 24 Mbps. Realistically speaking, for best service and the top gateway profile, a customer needs to be within 1,500 feet (437 meters) of the VRAD. The middle profile falls within 2,200 feet (670 meters) and the third profile goes up to 3,600 feet (1.97 km). Note that AT&T charges the same for each profile no matter how far away your premises are from the VRAD, even though service quality is far from homogeneous. 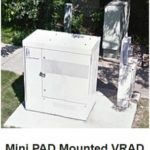 VDSL2 needs to be within 1,500 feet (437 meters) to sync up with the VRAD, according to independent research. VDSL2 is highly susceptible to electrical interference. Lightning, high wattage radio stations including Hams and other powerful electrical noise can wreak service disruptions. This is particularly true for non-shielded copper cable. Thanks to its use of “strict error correction schemes,” AT&T’s VDSL2 is plagued by significant latency. Some users have reported latency rates of 25 – 30 ms more than comparable VDSL2 services while others claim as much as 65 – 95 ms or more. These latency rates have serious implications for gamers as well as people watching action sporting events on UHD and even HD televisions. and others. Just use an Internet search engine to find more. Believe it or not, there are over 900 DSL providers in the U.S.
At first blush, Suddenlink looks to have superior VDSL speeds over other carriers that have a regional footprint. Also, if you live in a rural area your local telco coop might be your first (and only) choice for VDSL. However, be prepared to pay dearly for their service. Your intrepid author’s local telco coop charges $160 per month for VDSL with 40 Mbps down and 2 Mbps up; a coop telephone “line” is required. And their 100 Mbps down/50 Mbps up costs a whopping $600 per month. 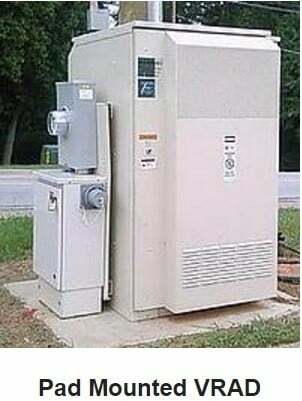 Remember dialup Internet provider NetZero? They offer a 6 Mbps VDSL service (comparable to the best U-verse can offer in many locations) at a very affordable price across a large swath of the U.S.